Succession law reform: Who would you expect to benefit? If at first you don’t succeed, try, try, try again. This is the current mantra of the Scottish Government as regards the law of inheritance. It proves that the issues being considered are not simple or create (strong) consensus on reform options. There was a wide-ranging consultation in 2015. As we updated you on last November, the Scottish Government responded to the 2015 consultation responses and said that some topics needed further consultation. It is to this next crack at the, in the Scottish Government’s own words, “controversial” subjects that we now turn. While they saying goes, “if it ain’t broke, don’t fix it”, most people would agree that society has changed significantly in the 55 years since Scotland’s current rules of intestacy came into force and that they no longer reflect current trends. 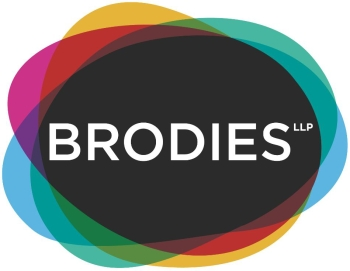 In its latest consultation, the Scottish Government focuses on what should happen to a person’s estate if they die without a will leaving a surviving spouse or civil partner and children. As the law currently stands, the surviving spouse or civil partner is entitled to an interest in the family home up to the value of £473,000, furniture worth up to £29,000 and the sum of £50,000 (if there are surviving children of the deceased) and £89,000 (if there are no children). On top of this, the surviving spouse or civil partner can claim one-third of the remaining moveable estate, while the deceased’s children can claim a further third of the moveable estate between them. The Succession (Scotland) Act 1964 sets out the order in which relatives of the deceased can inherit the remainder of the estate. Where the deceased is survived by a spouse or civil partner and children, the children will take the remainder of the estate. The current rules were criticised by the Scottish Law Commission in 2009 as being too complex. Given the values, there is also the concern that on the death of an individual who had remarried, their entire estate could pass to their surviving spouse (and then perhaps that spouse’s children), effectively disinheriting any children of the deceased from a prior relationship. In this ever shrinking world, we can learn a lot from how our peers in other jurisdictions do things and that is exactly what the Scottish Government seeks to do. The Scottish Government has honed in on two different approaches in Washington State, USA and the province of British Columbia, Canada. The Washington State model closely mirrors the approach taken in Scotland to the division of property following divorce. In that situation, the assets are split into “community property” (being the property acquired during the marriage) and “separate property” (which was acquired by one spouse before the marriage or during the marriage by gift or inheritance). Where the deceased is survived by a spouse and children, the spouse would take the deceased’s one-half share of the net community property and one-half of the net separate property with the remainder passing to the children. If there are no dependants, the spouse’s share increases to three-quarters of the net separate property. The British Columbia model is more akin to the current position in Scotland in that it provides a “threshold” below which the estate passes in its entirety to the surviving spouse. This threshold is called the “preferential share” in British Columbia. One key difference in British Columbia is that the level of the threshold or preferential share depends on whether the children are the children of both spouses, in which case the threshold is CAD $300,000 (approximately £174,180) or whether they are the deceased’s children from a previous relationship, in which case the threshold or preferential share is CAD $150,000 (£87,090). The remainder of the estate (after deduction of the household furnishings, which would pass in their entirety to the surviving spouse) is divided into two equal shares, one passing to the surviving spouse and the other passing to the deceased’s children. The surviving spouse also has the right to buy the family home within a certain period of time. What do these models tell us? When both of these models are applied to a scenario where the deceased had remarried and was survived by her second husband and children from a previous relationship, the result was a more ‘equal’ division of the wealth between the surviving spouse and the children. This contrasts markedly with the current Scottish law, which sees most of the estate passing to the surviving spouse. Of course and hence a further consultation, not everyone might think the outcome under any of these to be ‘fair’. The Washington State and British Columbia models both ensure that, in a blended family situation, the children common to both spouses are not treated more favourably than those who are only children of the deceased. The models also tell us something about the perceived and actual value attached to heritable property (e.g. the house). The current Scottish rules attach a significant (perhaps realistic) value to the house (which passes to the spouse), and to alter the current rules to fit in with the North American options might require a revisiting of the values attached to assets that pass to the spouse. Again, that might or might not be viewed favourably. With the major shift in demographics in the last half century, it is undoubtedly time for a change. However, the wheels of justice turn slowly, as is evidenced by the amount of time that has passed since the Scottish Law Commission first examined this area, and it could be sometime before any change comes into effect. Indeed, reform might never happen. Any reform might not suit your circumstances now or at the time of death or work well with your asset mix. That means taking control through a will and proactive estate planning is better than relying on what the default law is or might be and how it will apply to your assets and family circumstances at the time of death. There is also the often unhappy interaction between the intestacy rules and inheritance tax rules.